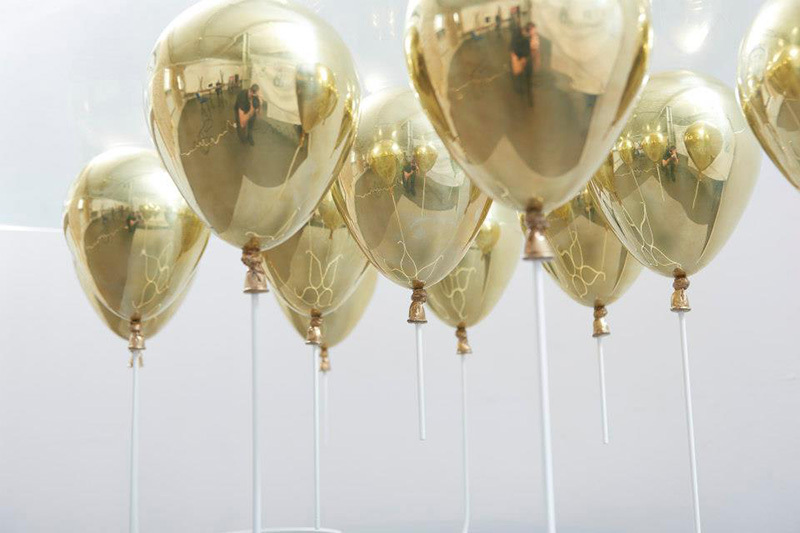 If It's Hip, It's Here (Archives): Gold Balloons and Glass Top Coffee Table. 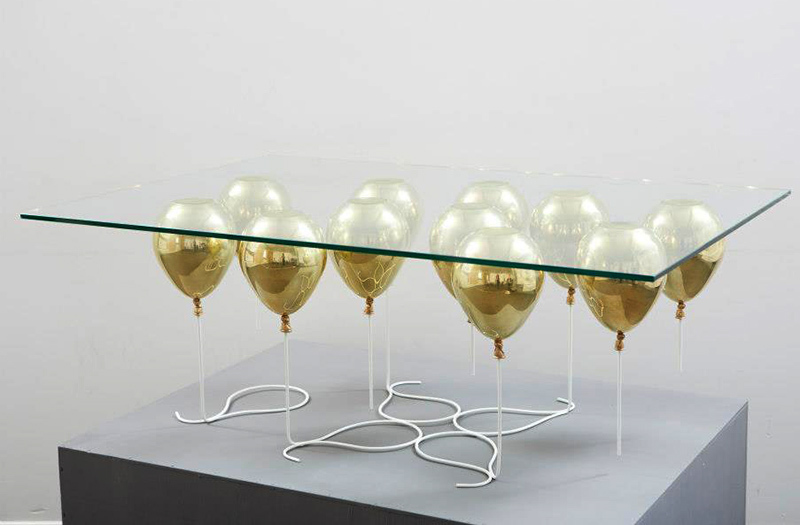 The UP Coffee Table by Duffy London. 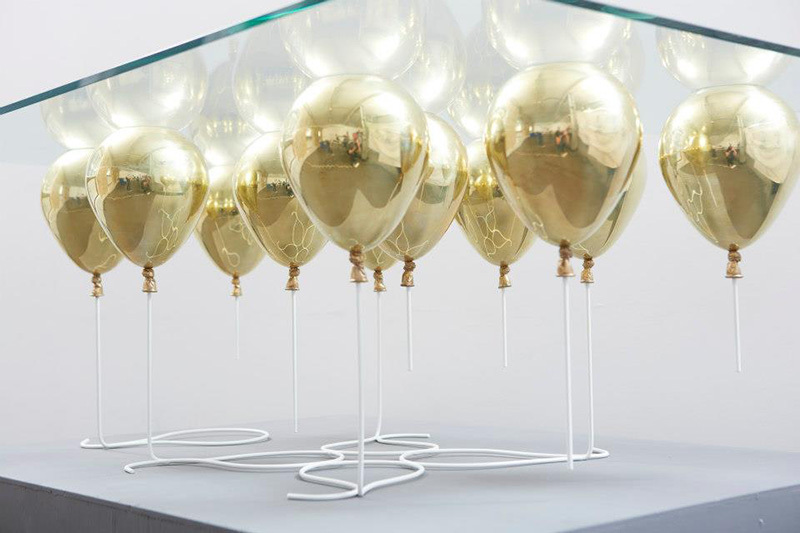 Gold Balloons and Glass Top Coffee Table. 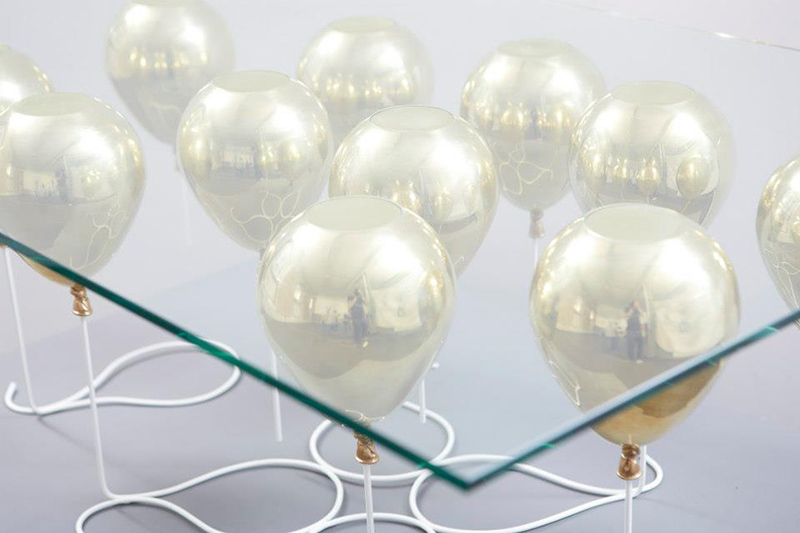 The UP Coffee Table by Duffy London. 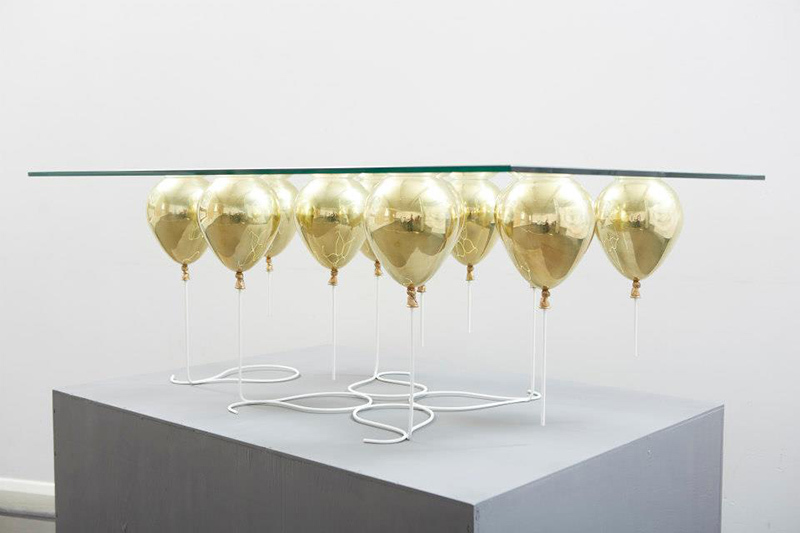 Duffy London design studio introduces the UP Coffee Table, a whimsical table with glass table top held up by gold glass and metal resin composite 'balloons' with steel rods as the 'balloon strings' and doubling as support. 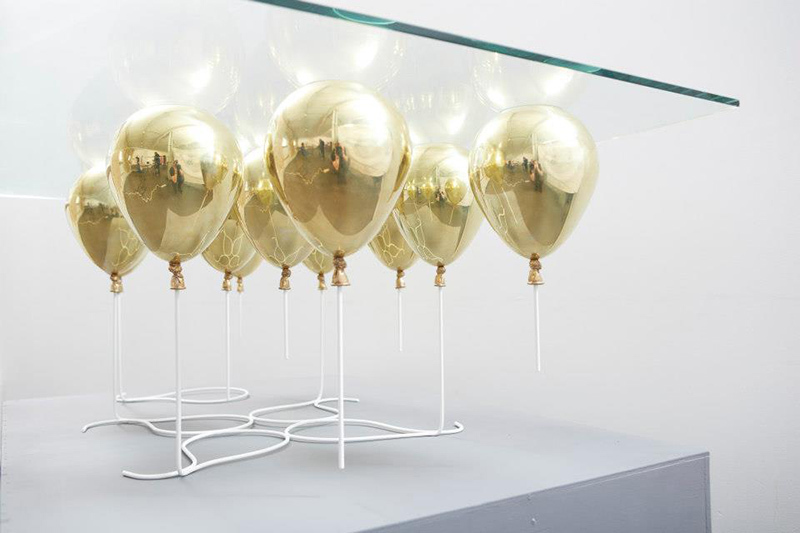 Working with the illusion of levitation and buoyancy, the UP coffee table is a playful trompe l’oeil, giving the impression that a piece of glass is being suspended by small balloons. 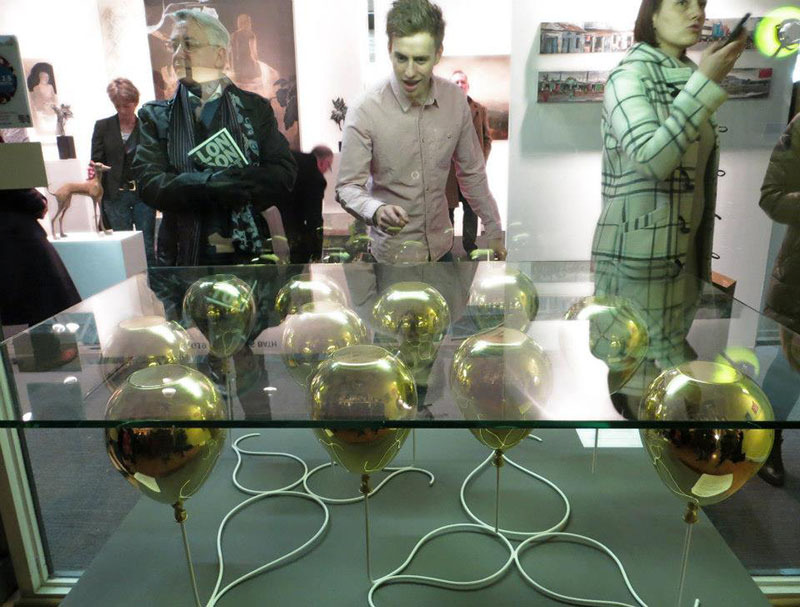 This hand made table is a limited edition of twenty. 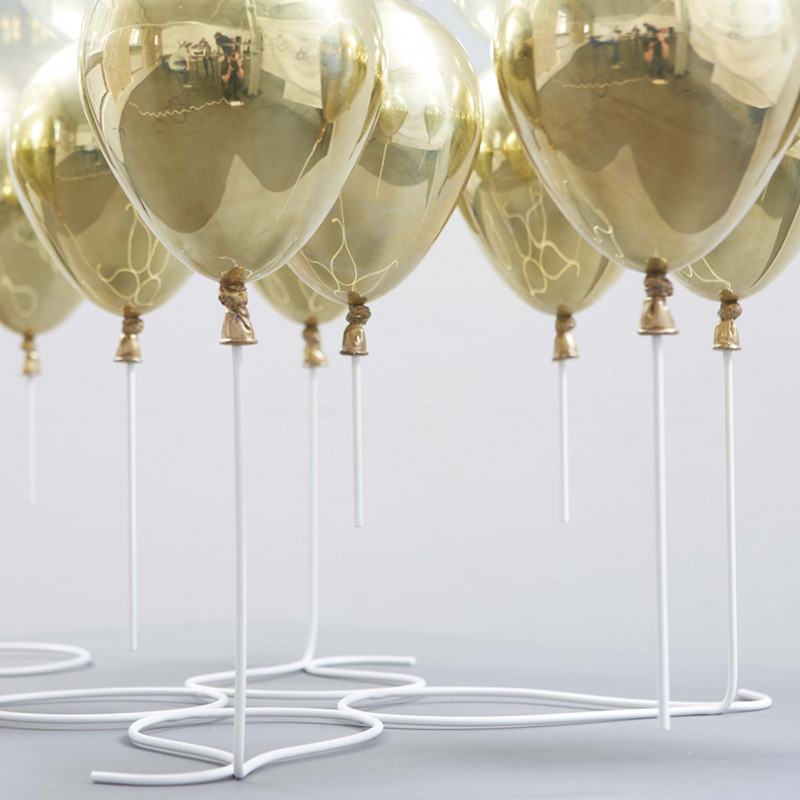 Because it is designed without compromise, the tables are extremely time consuming to create. 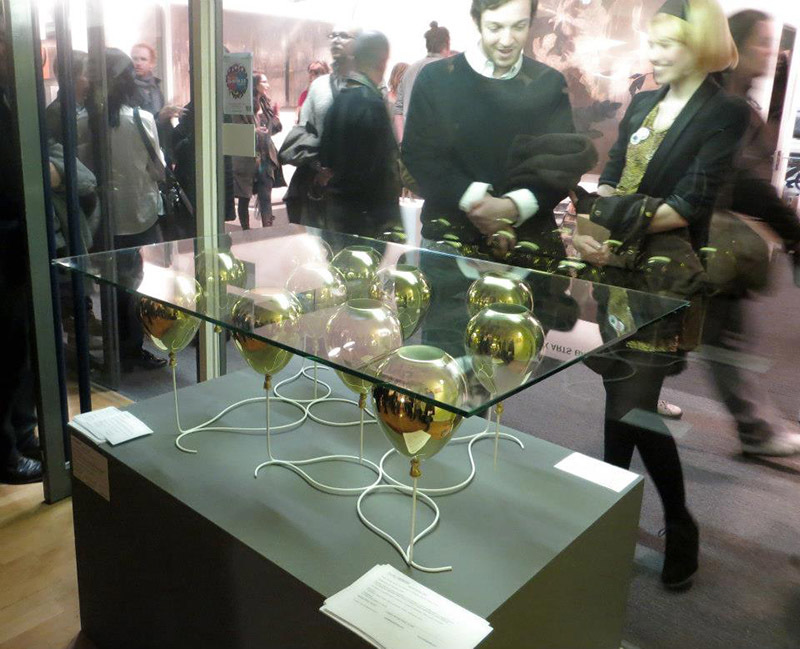 Materials: Toughened Glass, metal resin composite, toughened steel rods. Delivery times approx 8-12 weeks.